The NEW way to talk, text and share. 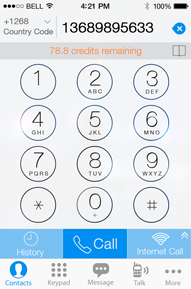 Calls to anyone on TalkU are completely free…anywhere in the world. 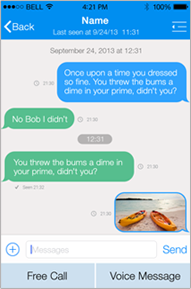 Unlimited free text messages with typing indicator, read recipient, read notification. 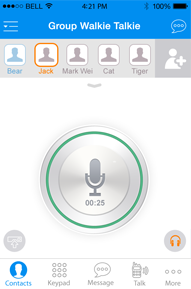 Transform your phone into a real Walkie Talkie - simply push a button and speak. Share your videos, pictures, doodles, music and locations with friends and family. We give you a real U.S. phone number. Receive incoming calls and texts from anyone. Even those not using TalkU. No monthly fee. No activation fee. No commitment. Save up to 90%! Free yourself from the phone companies. Visual voicemail with your own greeting. Call Block. Call Forwarding…and more. A TalkU phone number masks your real identity. Never leave your real phone number on the Web! TalkU users are always free! 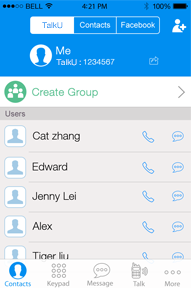 Invite your friends and family to use TalkU. 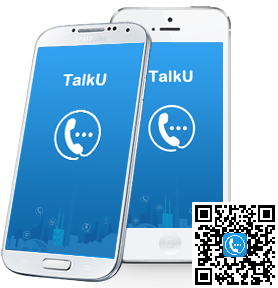 Download the TalkU app to your phone or device to check the rates of the countries you want to call.